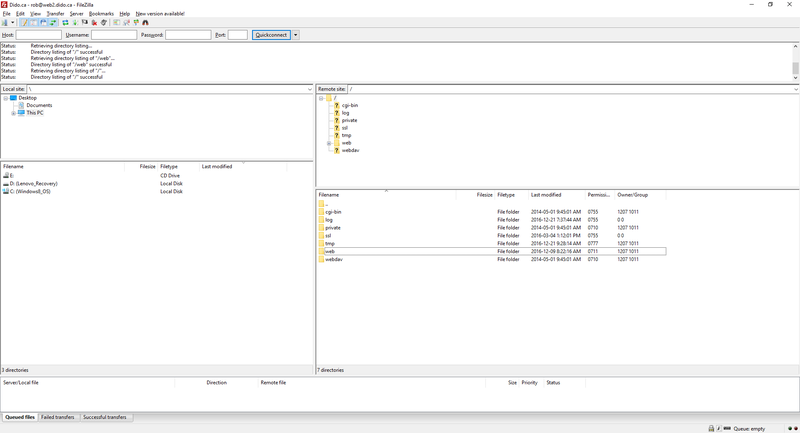 Connecting to Dido Internet’s FTP server is pretty simple, we will show you how to use the very popular Filezilla Client/program. It is free and available from here. 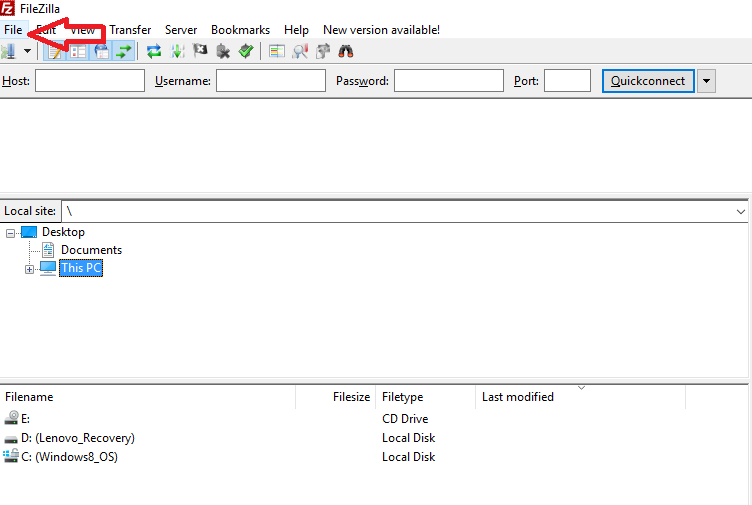 After you have downloaded and installed Filezilla, start it and go to File–>Site Manager. Then click on New Site Button and give your connection a name, for example, your website name or just dido.ca if you like. 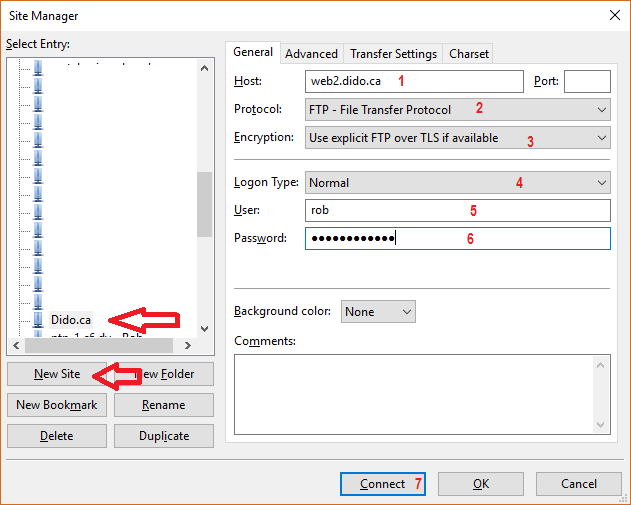 Now follow the steps below to configure Filezilla to connect to Dido internet’s FTP server. 7. Click on the Connect button and you will be connected to the FTP server and right into your website directory! Once connected, you will see a screen similar to the one below. You can then transfer all your files to the folder named Web.